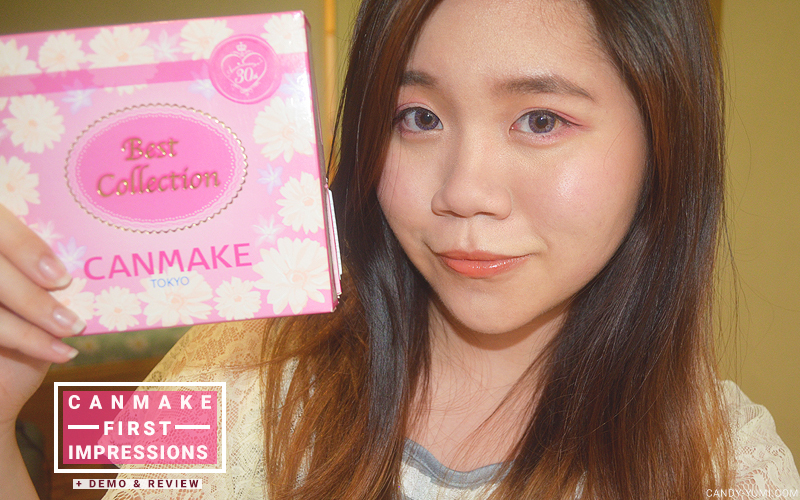 Canmake Tokyo 30th Anniversary Best Collection Makeup Set [ Unbox + Review + Demo ft. Spring Makeup look ] | C A N D A C E .
The star of this post is Canmake Tokyo's 30th Anniversary Best Collection set. 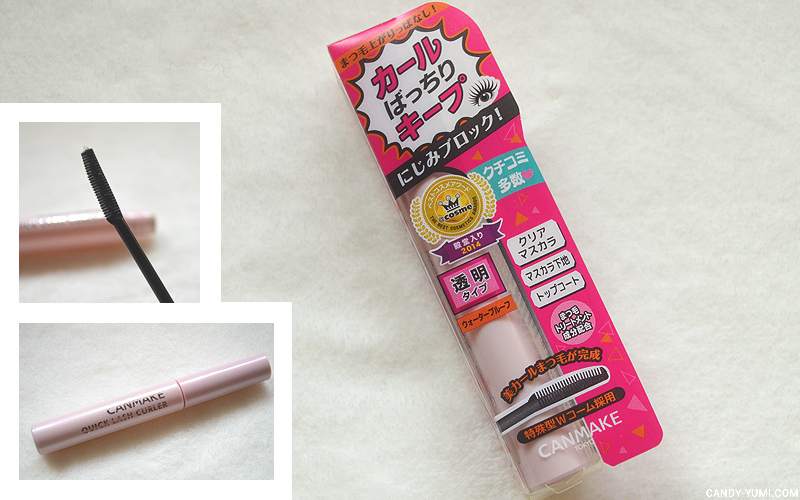 I've seen and heard so many good things about Canmake's products but I've never tried it before. So when I was given this goodie bag, I was super excited! 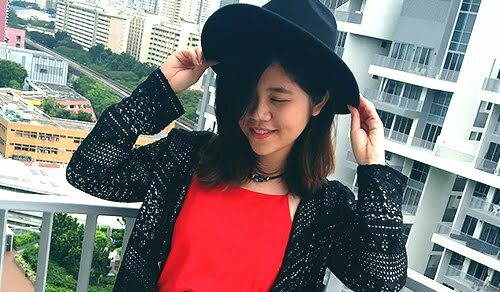 Here's all the products you'll be getting in this collection. If you ask me, I think this is actually a great selection to include in their "Best Collection" Personally, I do think it would've been better to include something for the brows as well as an eyeliner. That would actually make this the perfect full face makeup set! 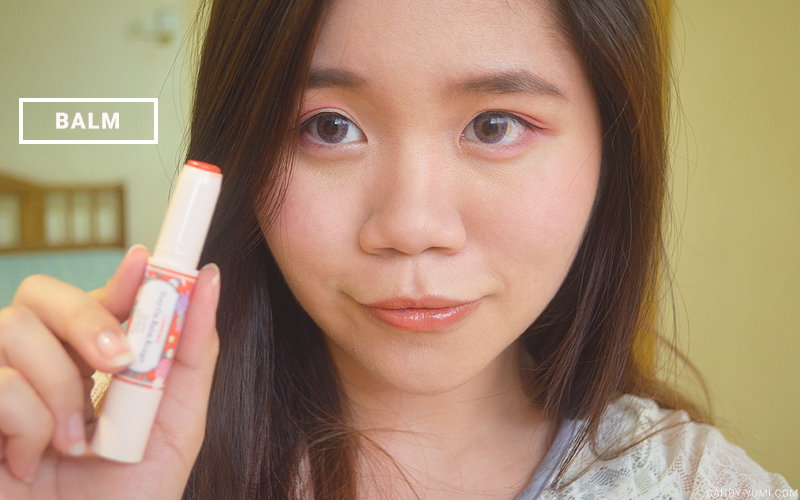 First product in this set is Canmake's Day & UV Lip Serum. This is a translucent lip gloss with a hint of colour, available in pink and red. I got the red one. This gloss is formulated to act as a day serum for your lips with anti-UV agents in it. It is great against UV rays as it has SPF 14 PA+ in it. 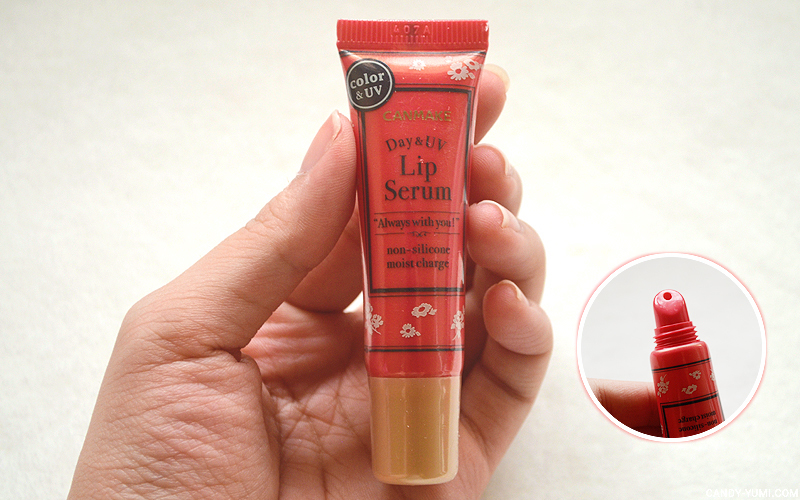 While keeping your lips look plump, it also contains a moisturizing beauty ingredient called astaxanthin. 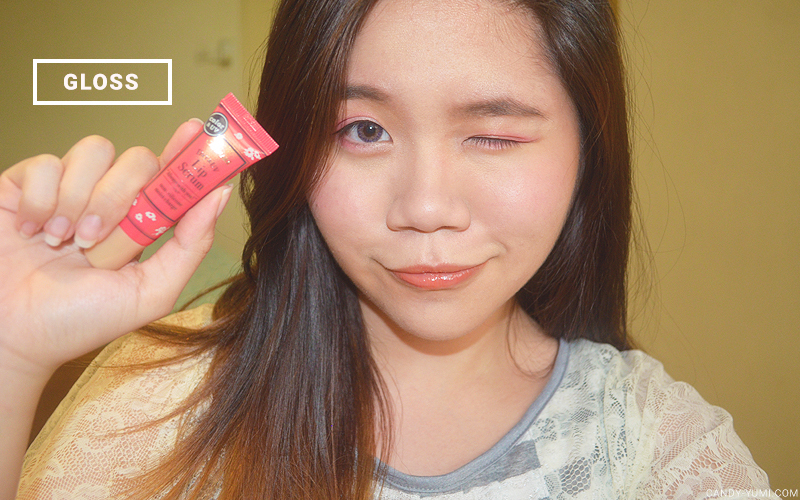 Another good thing about this gloss is that it's silicon-free :) This product retails for 380 yen. 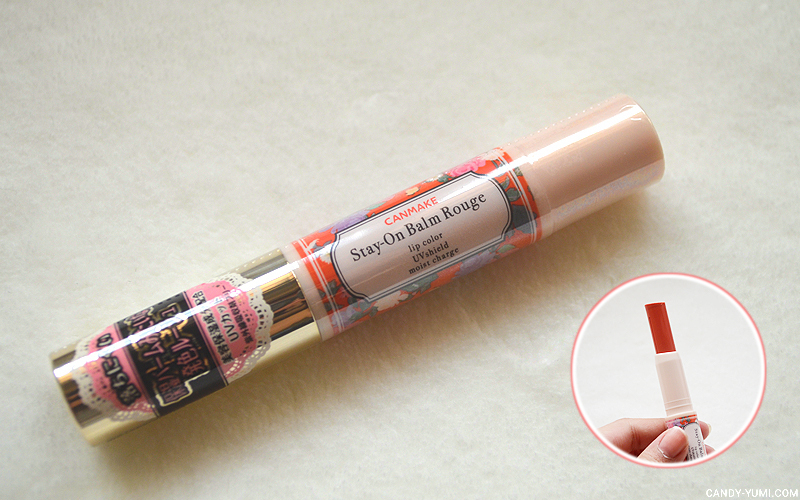 Next in this collection is Canmake's Stay-On Balm Rouge. Retailing for 580 yen, this is a tinted moisturizing lip balm available in 12 shades? (On the english site for canmake, they had shades up to number 12 but only 9 shades were available on the site) The shade I got is 02 Smily Gerbera. I would describe this as a sheer tangerine coloured balm. For 580 yen, I do think that you get quite a decent amount of product. This balm has SPF11 PA+ in it and can be used directly on dry/chapped lips. A few beauty ingredients in this product are: honey, shea butter, squalene, and royal jelly extract. Several emollient agents to help soften your lips are jojoba oil, olive oil, rosehip oil, grapeseed oil, macadamia nut oil, and pomegranate oil. 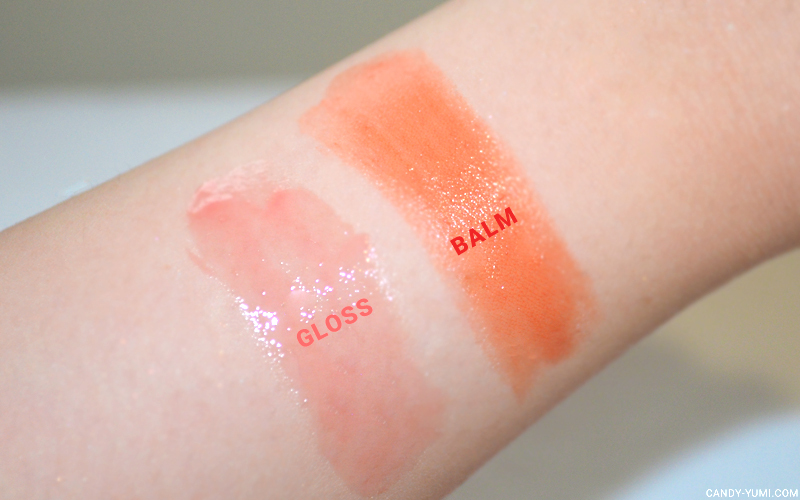 Here's a swatch on both gloss and balm. Now this one here is a pretty cool product. Something new to me at least. 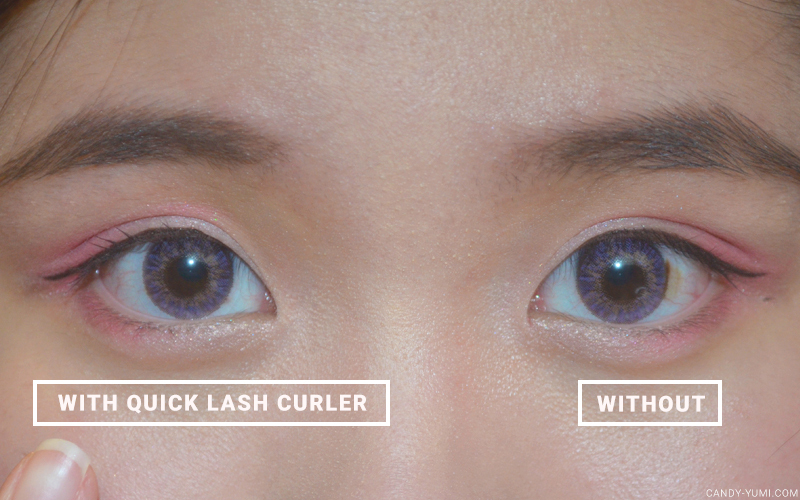 This is Canmake's quick lash curler. It can be used as a clear mascara for a natural look after curling your lashes, a top coat for your usual mascara or even as a tool to freshen up your lashes that's loosing its curl throughout the day. This product retails for 680yen and is available in black or transparent. I got the transparent one. The product also features a duo-sided wand. The short side helps lift the lashes while the long side (sparse bristles) helps separate the lashes. 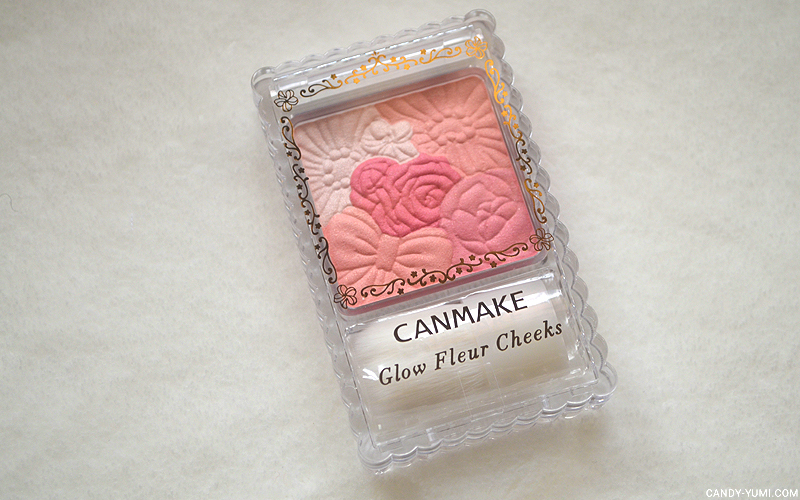 Another beautiful product in this collection is Canmake's Glow Fleur Cheeks. 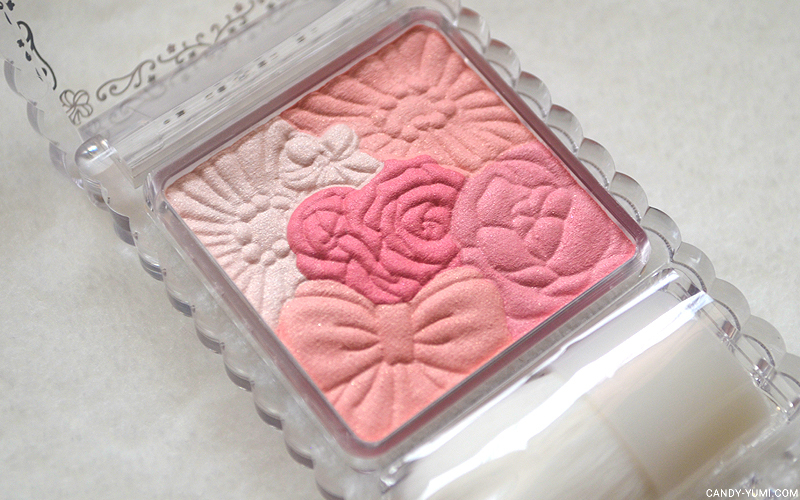 This is a powdered blush available in 8 shades retailing for 800 yen each. The shade I got was in 04 Strawberry Fleur. I don't have many blushers in my makeup collection so I was really happy to see this in the set. 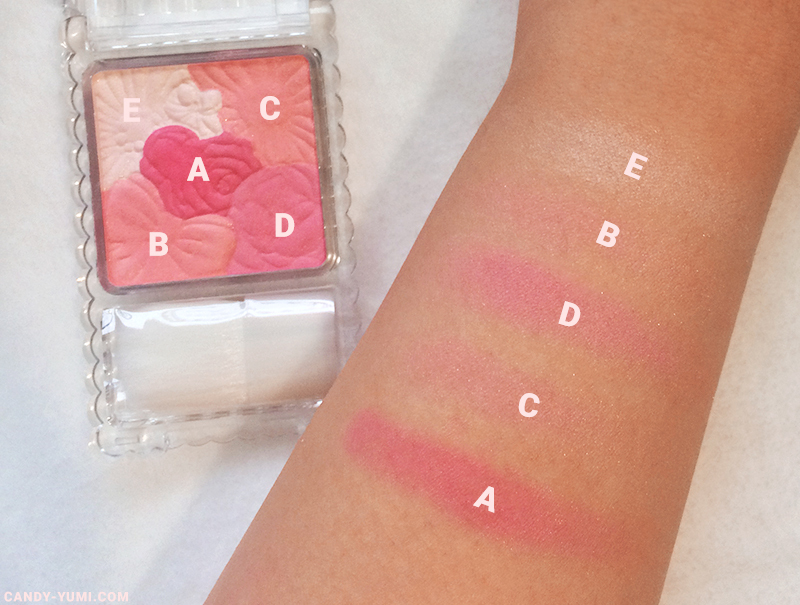 The shade I got is a very wearable soft pink shade suitable for a subtle flush of colour on the cheeks. Apart from its colour, I actually really love the pattern on the blush as well as the simple clear packaging it came in. 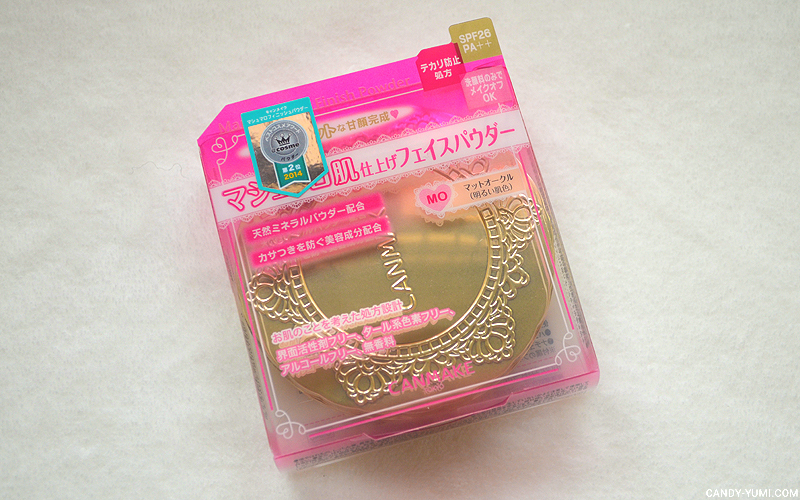 Apart the blush itself, it also comes with a small compact brush so I think for 800 yen, this is actually quite a steal! 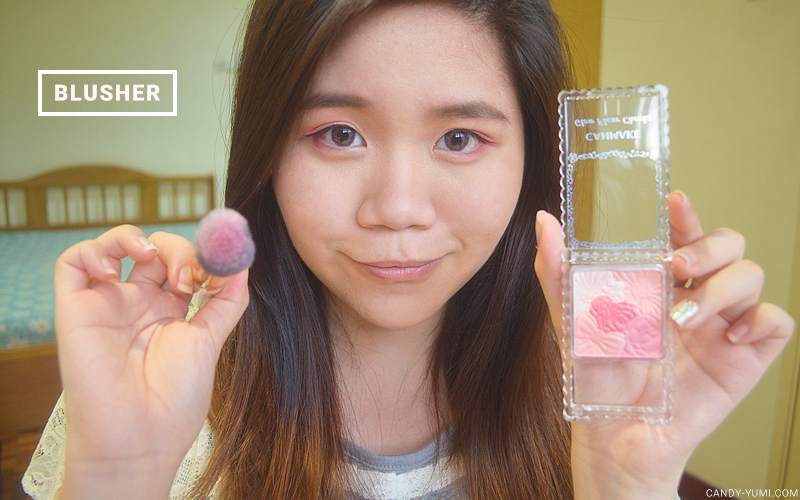 One last product in this set is Canmake Marshmallow Finish Powder. 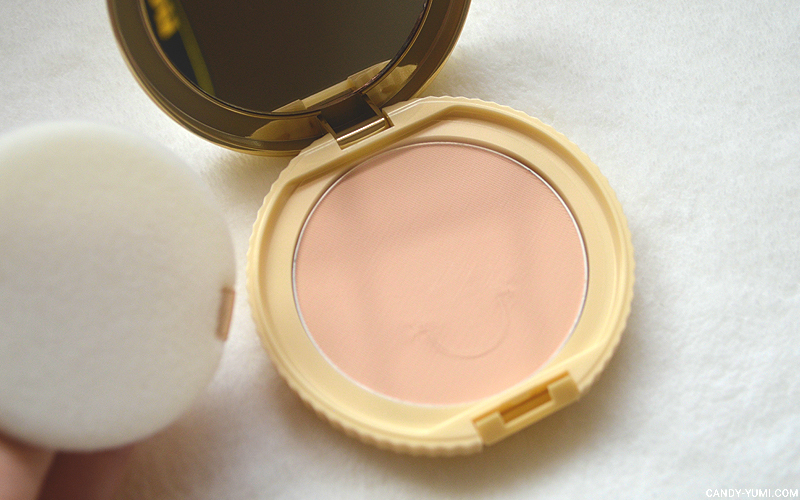 This is a powder foundation with SPF 26 PA++ in it to help provide some UV protection. This product comes in 3 shades and the shade I got is [MO] Matte Ochre. On the site, it states that this shade would give the skin a brighter finish. This product retails for 940 yen and the refills are sold at 700 yen. Powder foundations could be pretty drying for our skin so Canmake has used 10 beautifying agents to tackle that issue - Moisturizing: aloe vera leaf extract, rosemary extract, chamomile extract, perilla (shiso) leaf extract. Toning: Horse chestnut extract, perilla (shiso) leaf extract. Emollient: Squalene, olive oil, jojoba oil, grape seed oil. 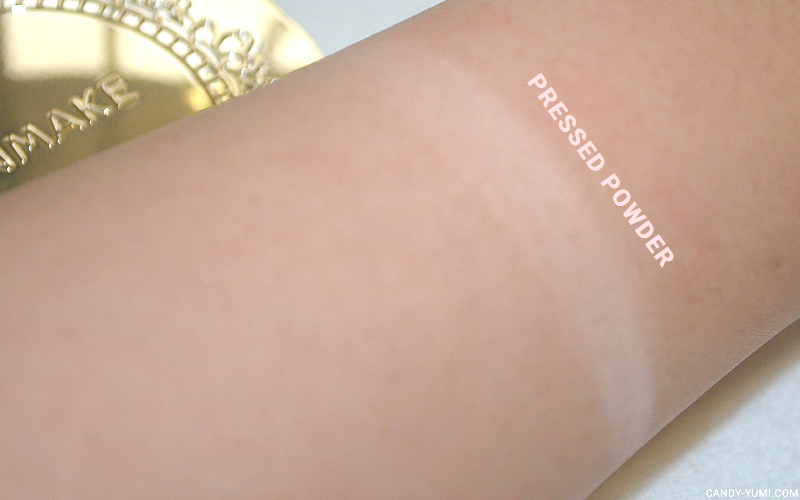 A swatch of the powder foundation. 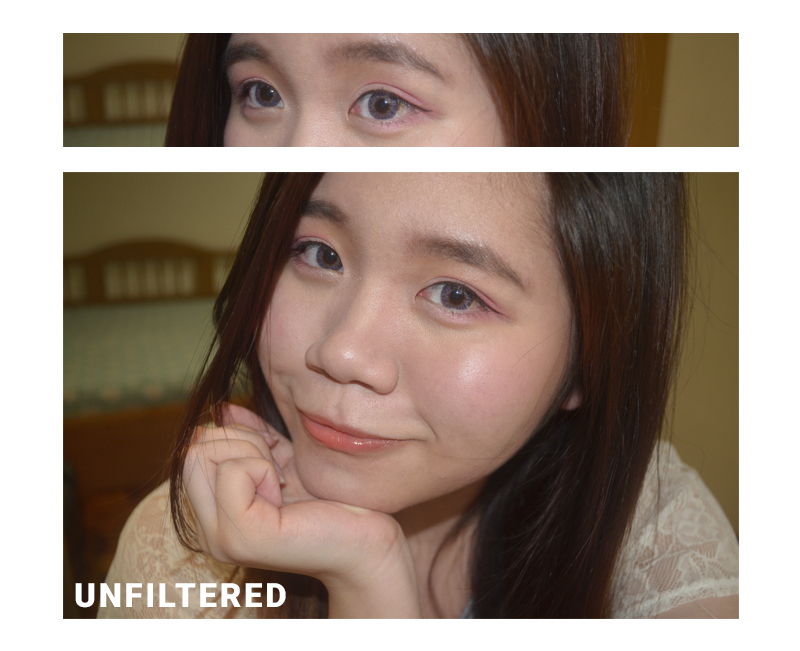 When applied with a powder blush, it does set my face makeup but I don't think it gave too much of a brightening effect. 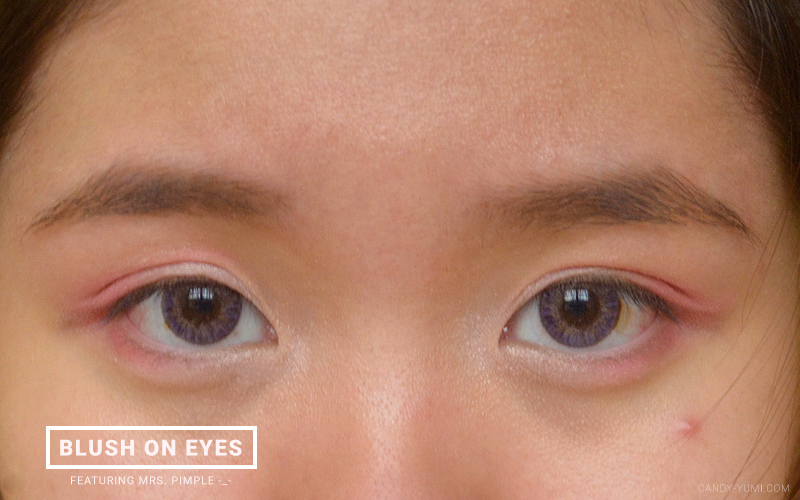 For more coverage + visibility of brightening effect, I'll suggest using a puff instead. Now let's put these new makeup I got to test! 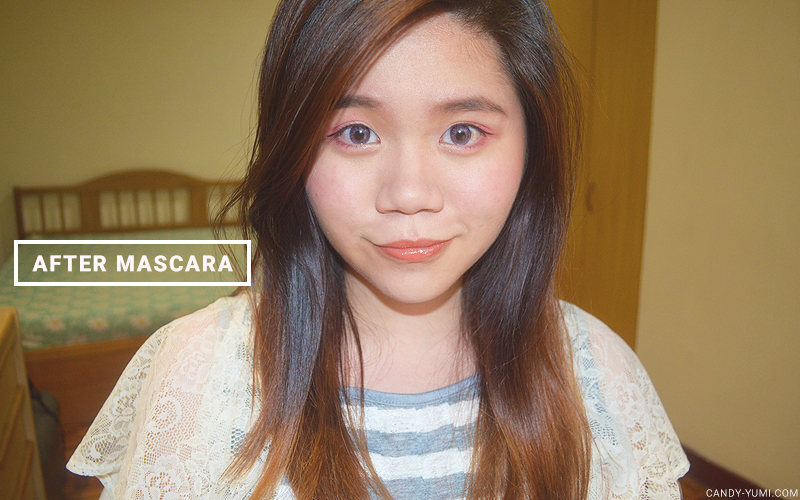 And what better way to test it out than to show a mini full face tutorial right? 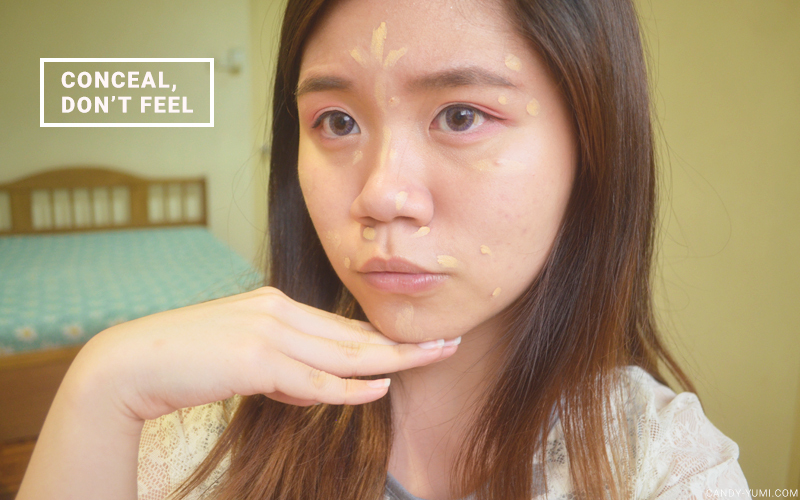 Personally I prefer doing my eye makeup first then only moving towards the face so we'll begin with priming our eye lids with any primer of your choice. I've only ever used a glittery eyeshadow primer previously from Kate so I've pretty much turned every single matte eyeshadow I own into a glittery one. I got my hands on a few of Urban Decay's highly raved Eyeshadow Primer Potion from Sephora USA's sale the other day and I don't think I'll ever switch out of this for a looooooonnnnngggggg time. Feel free to use any primer you're comfortable with though! 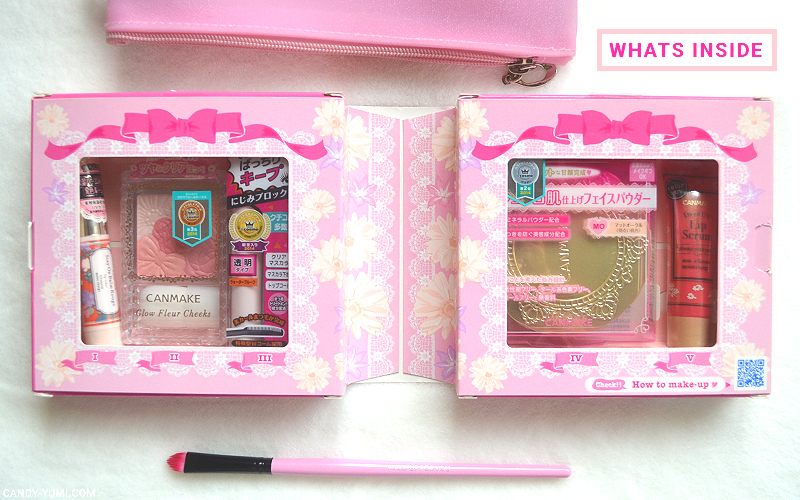 This set does not come with an eyeshadow, but the blush is super pretty right??? So why not we have fun with some pink eyes for the day. 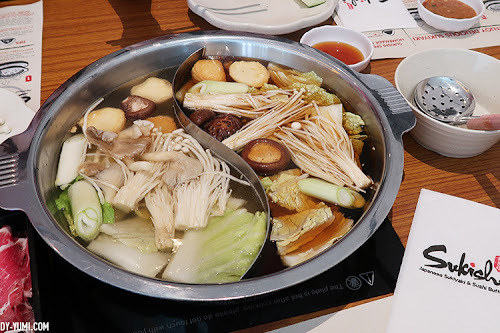 Plus I think this combination is pretty good too! 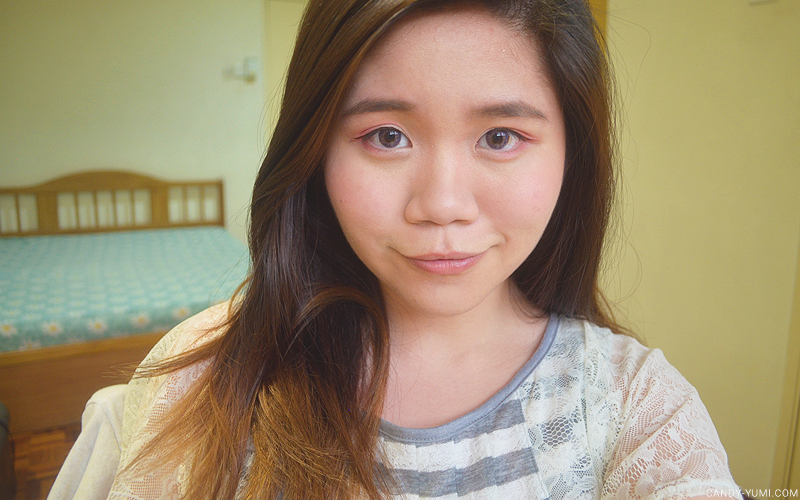 I'll say this eye makeup is actually pretty spring appropriate kan? 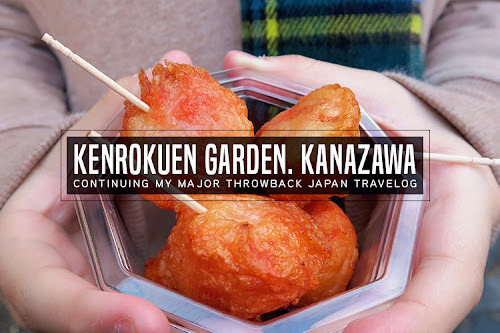 The last time I did something like this was 3 years ago!! Alright so on the areas with the green dots (a.k.a the outer 'v') I've applied the shade A from Canmake's Glow Fleur Cheeks. The shade is pretty sheer at first but definitely buildable. Don't forget to bring that colour to your crease as well as the outer half of your bottom lash line then blend it out for a soft dusty pink smoky effect. 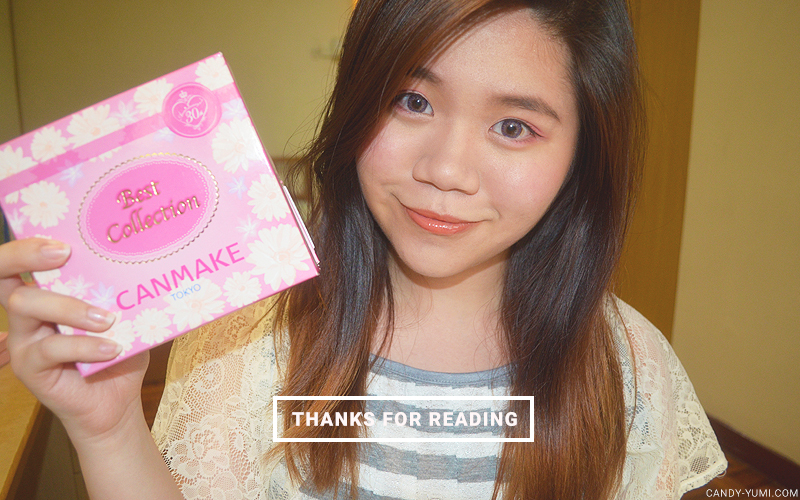 Not included in the photo, I've also added a very soft touch of B+C underneath my brow to blend the dark pink better. Next would be the base makeup. 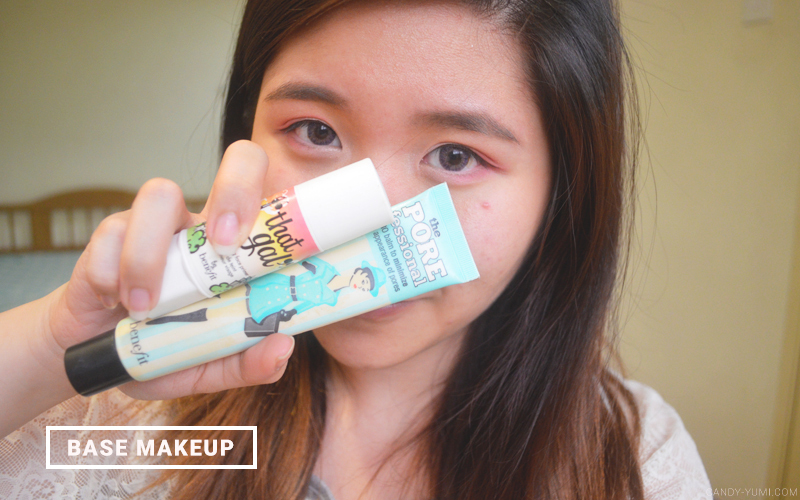 As usual, I'll be combining both of these brightening + pore minimizing primer together. 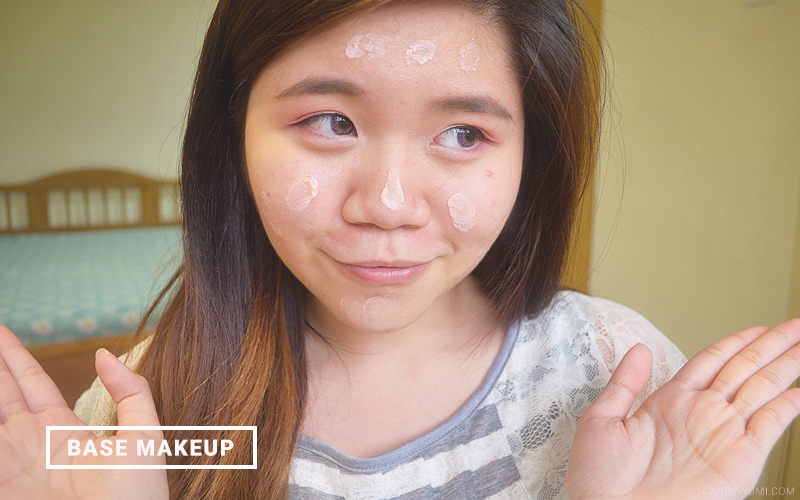 Using Shu Uemura's concealer. Since I wanted to keep this look as lightweight as possible, I'm skipping on the liquid foundation and just using more concealer on troublesome areas. 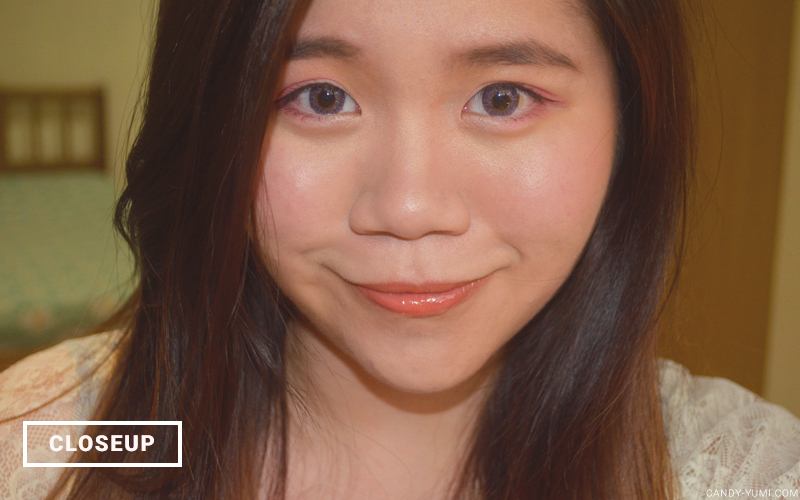 Here's how Canmake's Stay-On Balm Rouge in 02 Smily Gerbera looks on me. 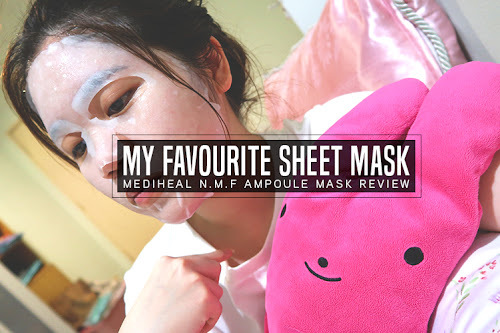 It is pretty moisturizing and I actually really like the colour of it. Do take note that although it's fine to apply directly onto dry/chapped lips, I do recommend exfoliating your lips first for an even application. The sun literally died on me so I had to start using flash. 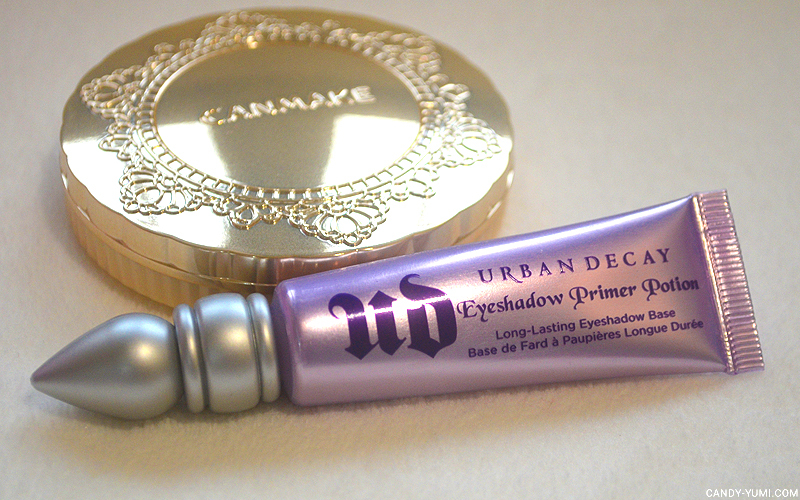 Added a little bit of Canmake's Day & UV Lip serum for a hint of shine. Here's how the gloss looks like on it's own. Both sides of eyelashes are curled but on the left side, I've applied Canmake's quick lash curler. In my opinion, I find that the best results is to apply the quick lash curler first then only curling your lashes as it does act as a base, however you have to be pretty careful when doing so as your lashes do stick onto your eyelash curler a bit. Finished the look with Benefit cosmetic's They're real mascara on my bottom lashes. 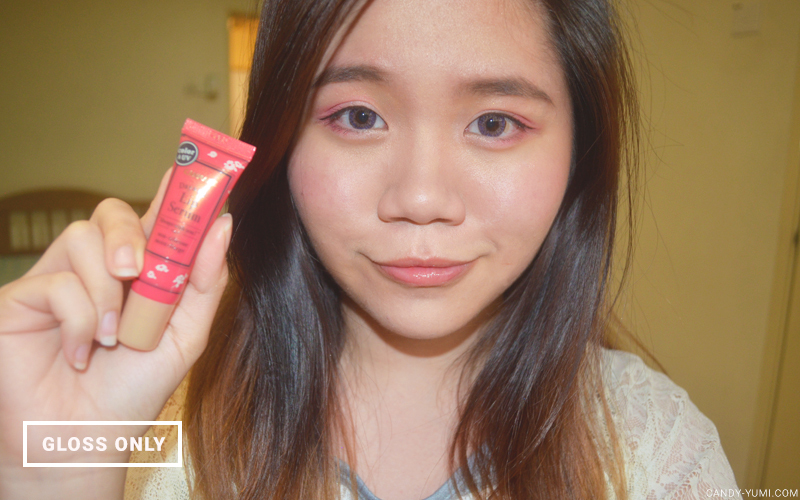 In case you're wondering the contacts I'm wearing are FreshLook Colourblends' monthly coloured contact lenses. The one I'm wearing right now is Amethyst. Here's a closeup without flash. More closeups of this look (because I haven't played around with a full face of new makeup in a very long time!) 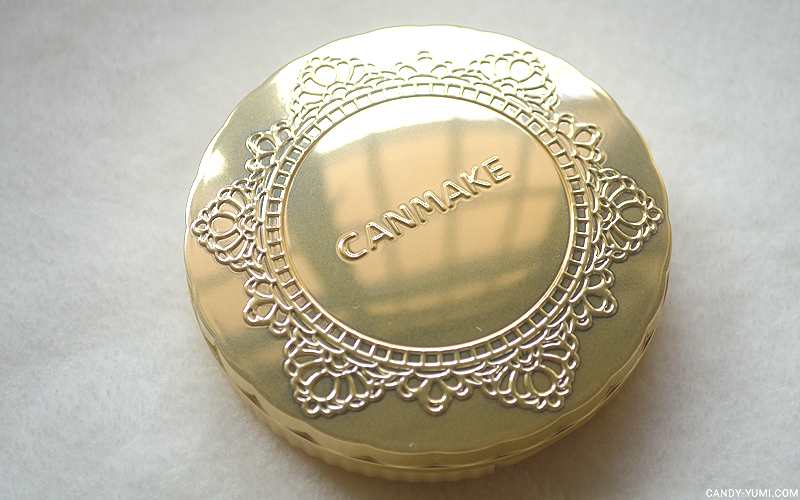 Fun fact kinda thing: Prior to writing this post, I actually had no idea how are Canmake's products priced at but after some price research on this collection's products, Canmake's products are really worth every buck you spent on it. 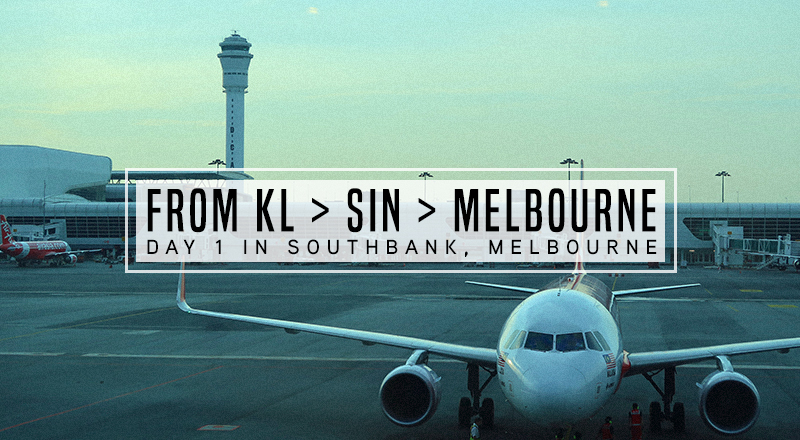 They're beautifully packaged and also pretty affordable too! 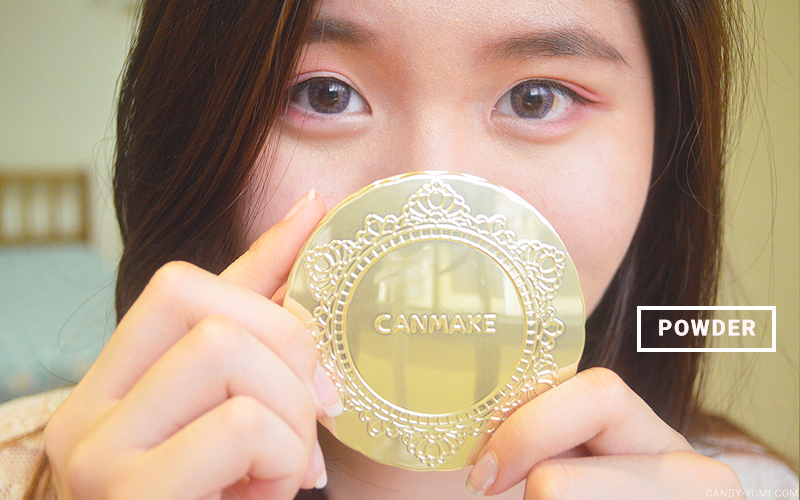 I love the beauty products from Canmake and it makes every women looks beautiful. I love the color. So sweet and soft. You look kawaii! lovely packaging they have! Nice makeup there too.